Applied Material: limestone, dolomite, phosphate ore.
1. 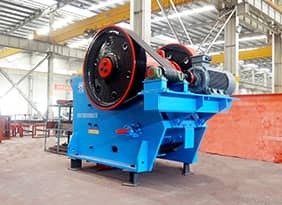 This is new technology has the features of excellent motion characteristics, special chamber design which saves more than 10% energy consumption and has more than 15% bigger throughput. 2. 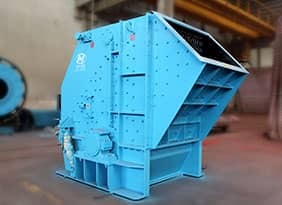 Unique crushing chamber design makes the availability of jaw plate much higher. Jaw plate can be switched four times that achieves evenly attrition. This advances the material availability and prolongs service life. 3. 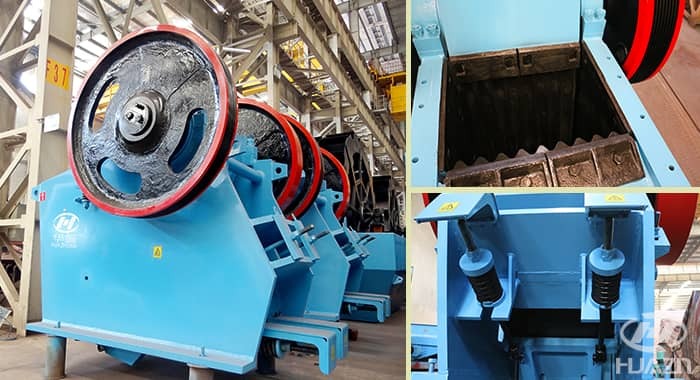 The teeth on jaw plate in crushing chamber faces to aces (swing jaw plate and fixed jaw plate), which is good for crushing hard materials. 4. 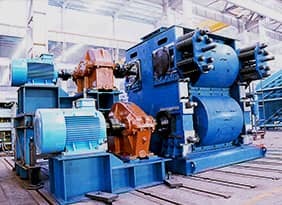 The structure design of adjustable transmission angle makes higher capacity in the same discharge outlet. 5. Fixed jaw plate and swing jaw plate can be changed for each other. This design will save user's spare consuption and the assembly is more convenient. 6. 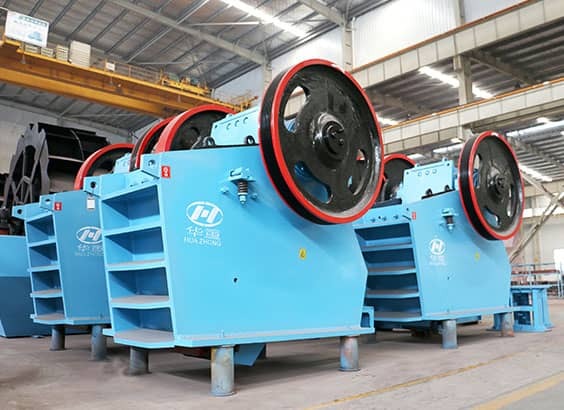 The hydraulic adjustment of double-jack for discharge outlet is convenient and labor saving. 7. Swing jaw and main frame can be disassembled easily which is convenient for transportation. Electrical motor drives the V-belt to make the swing jaw move following the specific track by eccentric shaft. 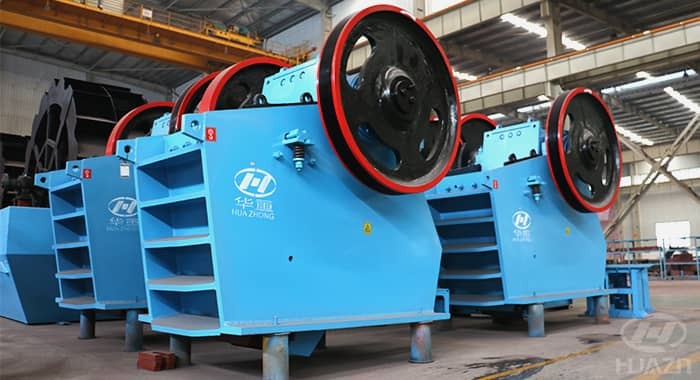 After the materials enter into the crushing chamber, they are crushed between the two jaw plates by impacting, bending, and striking, and then discharged from the discharge opening. 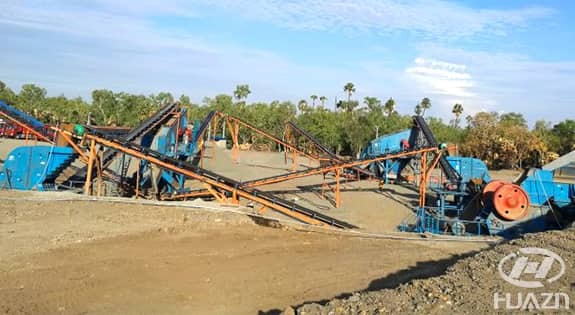 This sand and stone production line is designed by Luoyang Dahua in East Timor. 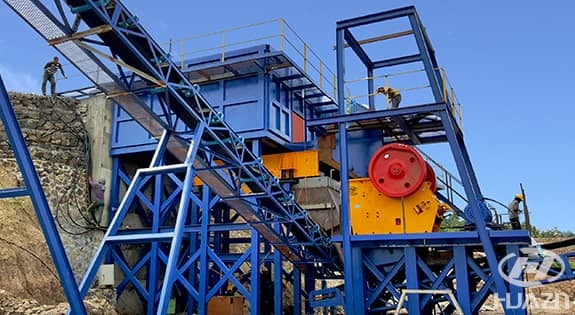 This cobble crushing production line is customized designed by in Indonesia. 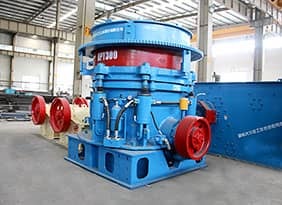 The main equipment: ZSW vibrating feeder, C jaw crusher, GPY cone crusher and 2YK vibrating screen.